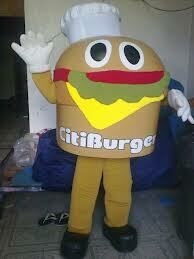 A corporate mascot is an important part of a business. Whether you are just starting up or already established, it is always best that you have your own to represent your company or your products. Take for example a very effective way to market a business in the Jollibee mascot. Kids alone when they see the figure already know that it is the fastfood chain so to speak. This means that apart from establishing interest of your target market, you also get the pride of branding whatever it is you sell using your own unique mascot. Ideas come in variety so better start and have your own today. Branding your business is just as costly but if you could establish something that your customers or market can remember, why not invest on it now. Have us make a mascot for you today – Costumes Philippines. It’s like having a Dora The Explorer mascot to sell your Dora stuff from bags, shoes, dress, school supplies and so on. But behind all that, the uniqueness suffers so if you have the inkling idea to hire mascot makers in Manila, Philippines and you need something unique for your business, company or products to sell, we could make it for you. Contact us for a free quote now or visit us at our home office in 136 Bayani Street Caloocan City. You can also call us at 366-36-45 / 0932-872-5532 (Sun Cellular).